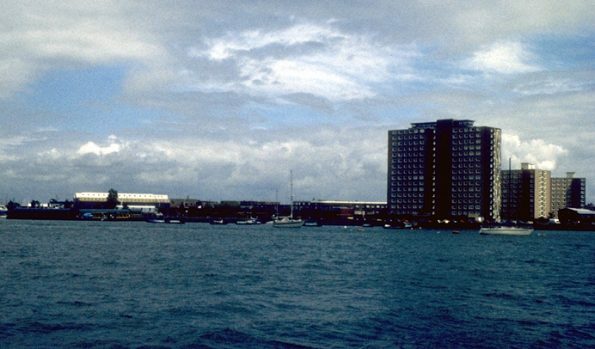 Gosport.info is a website giving information and photos of Gosport, Hampshire, England, UK both past and present. If there is information or photographs, that you would like to see, please let me know and I will add them. It can take a while for me to add all the items that need putting on the site. Do you have anything Gosport related to go to the 550 email addresses in the next Newsletter. Please let me know. I am not sure when it will be, so if you have something that needs to go on shortly please would you put something like ‘Urgent’ the date it needs to go on by in the title. Thank you. Someone has agreed to look after the What’s On Section. I have sent on the emails I have received with events details. I am sorry that I have not added them for many months, but when you send them in to me, I will send them on and I am sure he will add them to the relevant place on the What’s on Section. You may not find what you are looking for, it may be waiting to be moved to this site. please let me know so it can be arranged to add that item to this web site ASAP. Nothing has been lost, it is just no longer on the Internet as I did not wish to pay for another two years of the old site, now held offline. Gosport Hampshire England or Gosport.info is a website that has been around in various forms since April 2001. This site gives information a photos about gosport. It is now going through another major update. The site was set-up 3rd April 2001 using the domain Gosport Life with just 50 pages grew to around 1.400 pages and this new version is being added to with both new information and information from the old site there is still a long way to go, but plan to have the move completed and the old site closed by the end of this year. In the past I added the news items to the Home Page so as not to overcrowd this page, I will no longer do this. They will be added to other pages or look to using the ‘News’ section of the site. The site is now using WordPress and I am now starting to move Gosport.info over to this site. If you understand or would like to learn, WordPress and would like to help me get this underway. Please contact me on ian@gosport.info, phone 023 9252 3358 or mobile 078 1751 7995. How is the new Gosport.info site coming on? The old Gosport.info site has now been closed as the next years renewal is due. I hope over the next few months have moved as much as we can. I will let you know when we have finished the move. Whats On and perhaps the businesses section will be gone as they involve a lot of updating work and there are other places where these can be found. I will place links to these places. The site will become more of an archive of photos, memories and Gosport history. I believe I should also keep the list of clubs, societies, organizations and local charities as they tend to change less and can be more difficult to find and a number of them do not have a web presence. Though I did suggest closing the Gosport.info Twitter and Facebook accounts and a few people have said it should be kept I have still not put enough updates on them. Something to think about. The overall plan is to make the site continue in to the future with the resources (mainly people) available. Thank you for your interest in the past and I hope this change will enhance your interest. If you have any suggestions on how the pages and sections, in particular how the History and request sections of the site are set-up, they will be very welcome. Please let me know on ian@gosport.info .